By now, brand owners are probably aware of the new generic top-level domains (gTLDs) from the Internet Corporation for Assigned Names and Numbers (ICANN). They may have received literature from various sources about recording trademarks with the Trademark Clearinghouse and preparing for the first deployment of new gTLDs. There is no cause for alarm yet, however, and ample time to formulate a thoughtful, cost-effective strategy. We can help. It is important to have the most up-to-date information about the new gTLDs because the policies are fluid and still in debate. 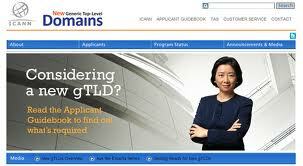 ICANN is meeting this week in Beijing to discuss the launch of the new gTLDs. Ballard Spahr attorney Amy Mushahwar is attending the meeting, and we will have updated information as it continues to become available. NextICANN in Beijing, China: IDNs to win big in the new gTLD process.